The winter season is in full-swing, and the weather that it brings can create very dangerous driving conditions. 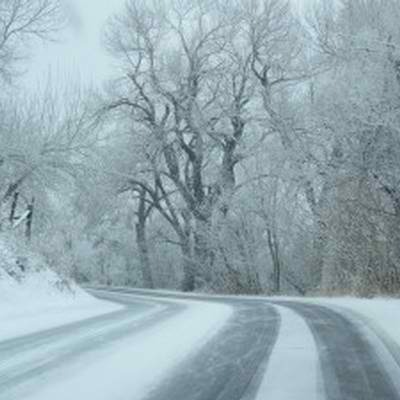 Since you may not be able to stay home every time snow or ice falls, follow these defensive driving tips. They will help you arrive at your destination safely. Before you leave your driveway, spend a few minutes cleaning your vehicle. Make sure that you remove any snow and ice off your vehicle. Finally, pay special attention to your car’sÂ windows, mirrors and lights so that you can see, and other drivers can see you on the road. Just before you leave, tell someone where you’re going, which route you expect to use, and your anticipated arrival time. Use smooth motions as you brake, accelerate, and change gears. Wear sunglasses to reduce glare and improve visibility. Drive on fresh snow, rather than in the packed and slippery trails that have been left by other vehicles. Reduce your speed and leave at least 10 car lengths between you and the vehicle in front of you. During a skid, stay calm as you accelerate and break gently and smoothly. Steer into the skid, too. For example, steer right if your vehicle is skidding to the right. Be aware of black ice. It’s hard to spot, but is just as dangerous as white ice or snow. During dangerous hail storms, you must pay extra attention to the road and implement several safety measures. Drive into the storm so that the hail hits the reinforced windshield rather than the side windows and back glass that aren’t as strong. Stay away from ditches that can flood during hail storms. Pull over if the storm becomes too heavy, and wait until it stops. Make sure to follow these defensive driving tips the next time you get caught in winter weather. For added protection, you may want to update your auto insurance too. If you have any questions, give Tracy-Driscoll a call at 860-589-3434.